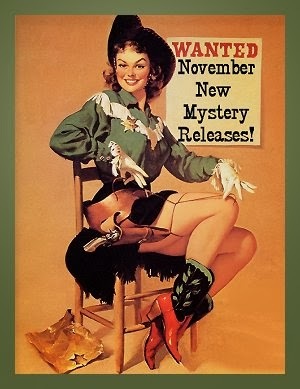 November 2013 New Mystery Releases! It's downright impossible for me to believe that it's almost time for the holidays! It won't be much longer before I'll be posting about the new Christmas-themed mysteries that will be available. (Well, some of them already are, but I'm not ready for them yet!) And if I'm doing that, then I'll be getting all my decorations out of storage, too. I'm not ready, I tell you! One thing that I am ready to do is to show you my picks for the new mysteries being released during the month of November. I've grouped them by release date, and of course I've included all the information you need to find them at all your favorite book spots. Synopses are courtesy of Amazon. Enjoy the fall, enjoy your family, but most of all-- Enjoy a good book! 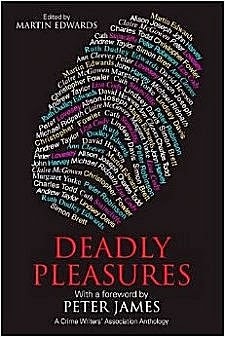 Synopsis: "The Crime Writers' Association marks its Diamond Jubilee year with an anthology that's a smorgasbord of delicacies including a few pungent unfamiliar items just begging to be tasted. Among the 18 contributors are such well-known authors as Ann Cleeves, whose The Pirate offers a surprise twist; Peter Robinson, whose Enchantress mixes legend with mystery; and Lindsey Davis, whose whimsical Zounds! features a ghostly cast. Christopher Fowler's Bryant and May in the Field shows the Peculiar Crimes Unit in its best light, with its trademark blend of logic and whimsy. The spare scenery of Iceland in Michael Ridpath's The Polar Bear Killing is matched by his sharp clear prose. The late Margaret Yorke's Threescore and Ten, the volume's only reprint, tugs at the heartstrings before justice arrives in an unusual way." Synopsis: "Recovering from the severe mental and physical wounds inflicted from his recent past, former cop Jack Taylor has finally found a modicum of peace. He has managed to kick the myriad substances that have had a stranglehold over his painful life, however tenuously. Yet this fragile existence is threatened when a vigilante killer begins targeting the scum of Galway, signing mysterious notes with the moniker 'C 33'. The killer addresses these cryptic letters to Jack, trying to goad him into joining the murderous spree. While Jack tries to unravel the mystery and motives of this demented killer, he is also brought into the fold of an enigmatic tech billionaire who has been buying up massive amounts of property in Galway, seemingly in the hopes of offering this downtrodden city a better future. Yet if Jack has learned one thing living in Ireland, it's that people who outwardly claim to be on the side of righteousness are likely harboring far more nefarious motives beneath the surface. With the help of his friends, former drug dealer-turned-zen master Stewart and dogged police sergeant Ridge, Jack is determined to track down C 33, even if it jeopardizes his livelihood, his friends, and the remaining shreds of his sanity. 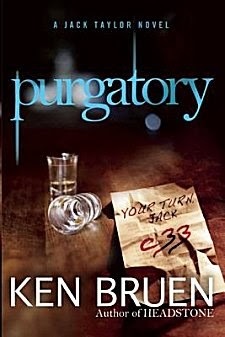 C 33 is Bruen at his best: lyrical, brutal, and ceaselessly suspenseful." Synopsis: "Winner of the Danish Crime Novel of the Decade and a national bestseller, S.J. Gazan's debut novel The Dinosaur Feather is a classic of Scandinavian noir. 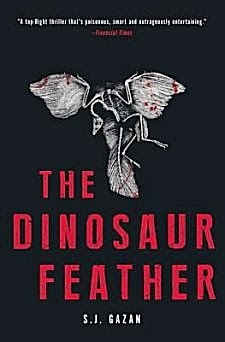 With keenly observed and deeply flawed characters, this scintillating thriller uniquely employs one of the most controversial and fascinating areas of contemporary dinosaur and avian research in its diabolical twists. The Dinosaur Feather has been published in more than a dozen countries. The Financial Times called it “a top-flight thriller—smart and outrageously entertaining. Police Superintendent Søren Marhauge is assigned to unravel what appears to be a series of related intrigues in the Biology Department. When Anna Bella’s fellow graduate and close friend is also killed, the murders seem to be linked not only to the university but also to Anna herself. As Marhauge investigates he must enter the imbroglio of the university—the bitter competition and scores to be settled among colleagues vying for the same scarce grants and promotions—and learn the dark secrets of this seemingly tame corner of academia." Former Broadway actress Violet La Rue is holding auditions for A Midsummer Night’s Dream—and everyone from the sour spinster librarian Ms. Cole to Lindsey’s youthful library pages are trying out for parts. Brought in to play the mischievous Puck is the flirtatious professional actor Robbie Vine, who seems to have eyes for Lindsey. Before her blush has faded, the Bard’s dream turns into a nightmare—when one of the cast is poisoned. Now Lindsey and her crafternooners must take center stage to unmask the culprit before the final curtain call…." Synopsis: "Trying to escape her overbearing mother, vintage kitchenware enthusiast and soon-to-be columnist Jaymie Leighton retreats to her family’s cottage on Heartbreak Island. While there she hopes to write an article about the Ice House restaurant, owned by good friends and neighbors, siblings Ruby and Garnet Redmond. Once an actual icehouse, the restaurant is charmingly decorated with antique tools of the trade, including a collection of ice picks. 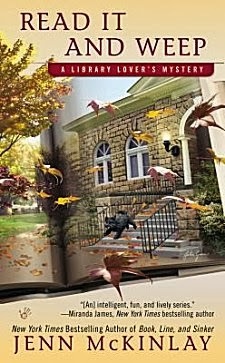 One night, while working on her article, Jaymie overhears an argument and, ever the sleuth, sets out to explore. 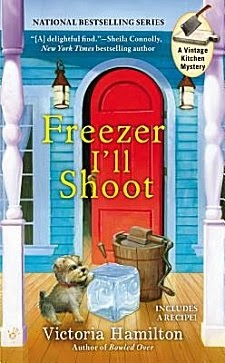 But when she stumbles upon a dead body her blood runs cold. It’s Urban Dobrinskie, whose feud with the Redmonds is no secret, and he’s got an ice pick through his heart. Now Jaymie’s got to sharpen her sleuthing skills to chip away at the mystery and prove her neighbors’ innocence—before someone else gets picked off…." Synopsis: "Nina. Natasha. Olga. Three women united by one terrifying secret. But only one of them has killed to keep it. Natasha Doroshenko, a Ukrainian woman who has been convicted of the attempted murder of her Danish fiancé, escapes police custody on her way to an interrogation in Copenhagen's police headquarters. That night, the frozen, tortured body of Michael, the ex-fiancé, is found in a car, and the manhunt for Natasha escalates. It isn't the first time the young Ukrainian woman has lost a partner to violent ends: her first husband was also murdered, three years earlier in Kiev, and in the same manner: tortured to death in a car. Danish Red Cross nurse Nina Borg has been following Natasha's case for several years now, since Natasha first took refuge at a crisis center where Nina works. Nina, who had tried to help Natasha leave her abusive fiancé more than once, just can't see the young Ukrainian mother as a vicious killer. But in her effort to protect Natasha's daughter and discover the truth, Nina realizes there is much she didn't know about this woman and her past. The mystery has long and bloody roots, going back to a terrible famine that devastated Stalinist Ukraine in 1934, when a ten-year-old girl with the voice of a nightingale sang her family into shallow graves." 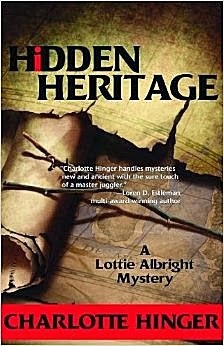 Synopsis: "Faye Longchamp doesn’t believe in ghosts, but she’s an archaeologist—dead people are her life. Yet while working in Rosebower, a rural New York town founded by Spiritualists, Faye is surrounded by people who talk to the dead on a regular basis. 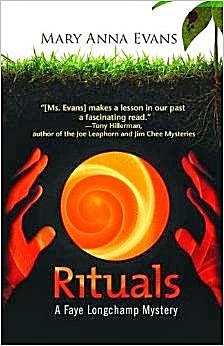 When influential Spiritualist Tilda Armistead invites Faye and her daughter to commune with the dead, Faye can’t say no. She’s just too curious. Then an hour after her crystal ball shows Faye things no rational mind can explain, Tilda is dead. The evidence says that someone trapped Tilda in a small room, nailing its one door shut before setting her house afire. There is no possible way for her to have escaped the blaze, let alone drive for miles before finding Faye and dying in her arms. Yet Tilda did. How? And why? It seems Rosebower is full of people who had reason to kill Tilda. Tilda’s estranged daughter is the heir to the Armistead fortune. That daughter’s husband is a stage magician with a long history of making things vanish. Against Tilda’s wishes, a rich developer would like to turn Rosebower into a Disneyland with real ghosts. And then there is the famed root doctor whose mysterious herbal potions are anywhere else, these people would be dismissed as crazy. In Rosebower, “normal“ is relative. As Faye watches the psychics and charlatans jockey for power, Tilda’s sister, Myrna, is slowly dying. Will Rosebower reveal its secrets before more goes up in flames?" Synopsis: "After a gruesome killing at the Carlton County, Kansas, livestock feedyard, Sheriff Sam Abbot, Undersheriff Lottie Albright, and her ranching husband deputy know their resources are over-stretched. Still, none of their team or neighboring law enforcement in Western Kansas welcomes the idea of a regional crime center. Kansas Bureau of Investigation Agent Dimon suggests the murder may not be a simple local affair. Unconvinced, Lottie— still director of the historical society—calls for stories from families whose ancestors were part of groups colonizing Kansas. Doña Francisca Díaz is the ancient head of one such clan. It turns out, Francisca’s great grandson Victor was the murder victim. Francisca, a fabled curandera with terribly damaged hands, insists she knows why Victor was killed. The key, she claims, is in ancient documents. At Doña Francisca’s invitation, Lottie visits the Díaz’ property. In a drought-ridden area, the land is lush. Francisca wants Lottie to train as her heir. Reluctant yet fascinated, Lottie agrees. Will Lottie be lost in this maze of magic? Does this family and its secret hold the key to murder and other terrible crimes?" 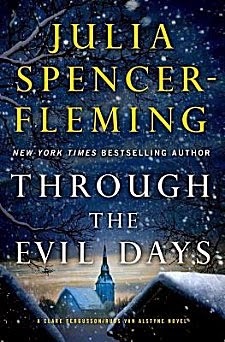 Synopsis: "In Through the Evil Days, New York Times bestselling author Julia Spencer-Fleming raises the stakes for Russ and Clare, putting their new marriage, their unborn child, a missing teen, and their very own lives on the line. As a deadly ice storm downs power lines and immobilizes roads, Russ and Clare search desperately for the truth about the missing child, but the hunters will become the hunted when they are trapped in the cabin beside the frozen lake and stalked through the snowbound woods by a killer." Synopsis: "A man's body is found below a waterfall. It looks like suicide or an accidental drowning—until DI Frannie Bliss enters the dead man's home. What he finds there sends him to Merrily Watkins, the Diocese of Hereford's official advisor on the paranormal. It's been nearly 40 years since Hay was declared an independent state by its self-styled king—a development seen at the time as a joke, a publicity scam. But behind this pastiche a dark design was taking shape, creating a hidden history of murder and ritual-magic, the relics of which are only now becoming horribly visible. It's a situation that will take Merrily Watkins—alone for the first time in years—to the edge of madness." Synopsis: "Three unrelated, random killings. Or something much, much worse? 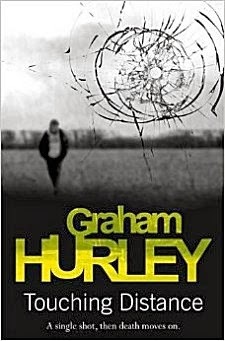 Graham Hurley's new crime thriller unleashes a serial killer; combining Hurley's talent for ultra-realistic, character driven police procedurals with a plot powered by an explosive ticking clock and kicking his books into a new realm of tension and fear. Jimmy Suttle has barely got his feet under the desk at his new job. Having flown in the face of his superiors on his first big case he now finds himself trying to track down a random, hugely skilled killer before another innocent dies and before the media tear the force apart. Full of a sense of place, sensitive to the deep rooted agonies of a policeman alone and facing disaster, and close to, and with a chilling understanding of the motivations of the killer this is a bravura piece of crime fiction that will secure Hurley's reputation and win new readers." A little something for everyone this month, isn't there? Some of the books I chose remind me that I'm woefully behind in reading the authors' books. Two of the books I've listed I'll be buying at The Poisoned Pen and having them signed by their authors. Which ones am I looking forward to the most? Ouch-- quit twisting my arm! Okay... okay... 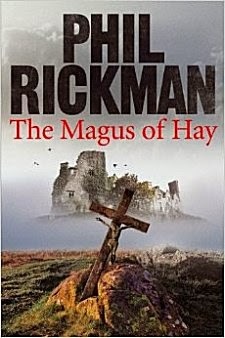 I have to admit that I'm looking forward to The Magus of Hay and Through the Evil Days a smidge or two more than the others. How about you? Which books tickle your fancy??? I've got to get Nina Borg #2 read!!! Nina Borg is such a fascinating (and flawed) character! 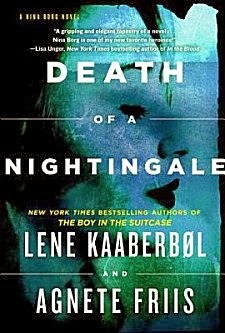 I just finished Nina Borg's frightening foray in Death of a Nightingale, part of which takes place in 1930s Ukraine. I like Nina Borg, despite her shortcomings with her own family. She's smart, brave, resourceful. However, this book is so complicated because it constantly switches decades and countries. I'm not sure all of it comes together seamlessly. I'm still not sure about the ending. However, if somone wants complications and suspense, read it. I must now read a humorous book. Too many serious, complex reads in a row, although I did read Treasure Hunt, Montalbano's latest case. I want to read Dinosaur Feather. I can't add more as these TBR piles are ridiculous, not to mention the TBR lists (groan). I must clone myself to catch up on reading. I've read it, too, Kathy, and agree with your assessment.